I just came across this and thought I should share it since we are heading into August and you might want to find a “cool” place to take your kids. The cost is normally $12.95 for kids and adults it is $19.95. Children 6 and under are always FREE. The Newseum is located at Pennsylvania Avenue and Sixth Street, N.W., Washington, D.C. The Newseum is open from 9 a.m. to 5 p.m. daily and is closed on Thanksgiving, Christmas and New Year’s Day. 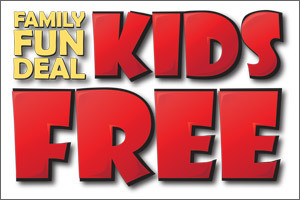 “Family Fun Deal” tickets, like all Newseum tickets, are valid for two consecutive days.